The Kootenai River begins in Kootenay National Park in British Columbia. In 1973, the Libby Dam was built, forming Lake Koocanusa and which extends back into Canada. Below Libby Dam, the river flows for 50 miles to the Idaho border. The countryside, as is typical of northwest Montana, is mountainous with thickly covered forested slopes. The Kootenai River, as Libby Dam regulates it, flows erratically. The river level is subject to sudden flow increases that affect both the fly fishing and the safety of the wade fisherman. All anglers who plan to fly fish the Kootenai River, whether from shore or by boat, are advised to check the current river flows before heading out, especially in early summer when flows are high. Below Libby Dam, even at low flows, the Kootenai River is wide and has a very quick current. For the first twenty-five miles below the dam, only small riffles and waves exist. The river then flows through a rapids called the “China Rapids”, so named because a group of Chinese gold miners attempted to float through these rapids instead of portaging, and capsized their raft which sent all their gold and all but one man to the bottom of the river. Just below China Rapids, the Kootenai River flows over Kootenai Falls, a thirty-foot waterfall that requires a portage of all boats except for advanced paddlers in whitewater kayaks. Just below the falls, the river flows through a gorge that has extensive whitewater sections. After emerging from the gorge, the Kootenai River continues on, with only small riffles and waves, to the Idaho border, which also is the lowest point of elevation in Montana. Due to the low elevation the river flows through, this part of Montana can be surprisingly warm during the summer months—so be prepared for some potentially warm days during any heat waves that happen to hit Montana. The Kootenai River is a daunting river for fly fishing. The Kootenai River is so big, so broad, so deep and fast flowing that deciding where to start is no simple task. The rivers characteristics also make wade fishing difficult. The Kootenai River, due to its sheer size, is a river that’s best float fished, particularly during the summer. Anyone wading the Kootenai River must also deal with the variable flows of the Kootenai itself—the unannounced and frequent releases from Libby Dam often quickly raise water levels and increase the flow rate. 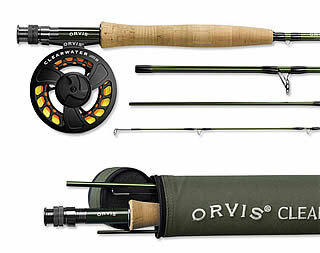 Read this in-depth guide on how to select a fly rod to meet your own specific fishing needs. The Kootenai River jumped to prominence in 1997 when the state record rainbow trout was caught near Libby Dam, a monstrosity of a fish that was thirty-eight inches in length and weighed thirty-three pounds. The Kootenai River also holds the state record for mountain whitefish at more than five pounds, which was also caught just below Libby Dam in 1987. As any angler can tell from looking at these numbers, the Kootenai River, besides being big and broad, holds some very large fish indeed. The trick, of course, is catching them on this massive and somewhat intimidating river. The best rainbow trout fishing on the Kootenai River is found above Kootenai Falls, although the lower river of the Kootenai is making a comeback due to recent changes in fishing regulations. The true monster fish, for those with the patience to chase them, are typically found within a mile or two downstream from Libby Dam. These large fish feed not only on flies and other fish, but the chopped up remains of the various fish that get caught in the turbines of Libby Dam. One bonus of the Kootenai River is that, since its flows are regulated by Libby Dam, the prime fishing portion of the Kootenai River generally runs clear even during spring run-off, although the feeder rivers can occasionally add some murk to the rivers clarity. Unlike most Montana rivers that can frequently run low and slow later in the summer, the Kootenai River generally runs high and fast through the middle of August. Since the water is fed from Libby Dam, the water also tends to remain cool. These two factors, along with no water diversions for irrigation, combine to allow the Kootenai River to avoid the “dog days of August” that often plague some other fine Montana trout streams. This section of the Kootenai River travels for seventeen miles. 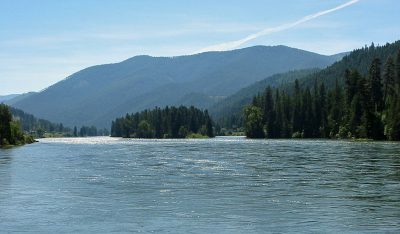 The Kootenai River in this section is characterized by fast moving flows, is very wide and has a number of side channels and braids, along with many deep pools. During lower flows (during the winter, late fall and early spring), extensive gravel bars are also exposed, while during the higher flows of early summer the shoreline vegetation is often flooded to a depth of several feet. Access to this section of the Kootenai River is excellent. A fine boat ramp is found just downstream from Libby Dam, and several other boat ramps are also found between the dam and the town of Libby. Kootenai River in Northwest Montana as it braids around an island. Additionally, for the angler who lacks the boat, an easier major river to access than the Kootenai River is not easily found. The Bureau of Reclamation has extensive camping and park facilities below Libby Dam, allowing for easy shoreline access. Additionally, Highway 37 closely follows the Kootenai River for much of its length to Libby, providing easy car access. Just park your car along the road and hop into the river. Just be careful where you hop. The true monster rainbow trout of the Kootenai River, or those fish reserved for space next to the fireplace, are typically located just downstream from Libby Dam. The odds of catching these fish on a dainty dry fly, however, are very slim. Instead, massive streamers—up to five inches long—are the flies of choice when chasing these trophy trout. Popular and successful flies include the Wolly Bugger and a Kokanee Salmon imitation, all heavily weighted and fished down deep on a sink tip or full sinking line. Any angler who values quality over quantity, and doesn’t mind hefting very large streamers on stout tackle hour after unproductive hour, can score huge on the Kootenai River when chasing trophy sized rainbow trout. Just remember that to catch these monster trout requires patience. Lots of patience. Don’t pull up to the Kootenai River expecting to take home several large rainbow trout every day when chasing these trophy fish. Feel lucky and privileged if you catch one of these trophy-sized rainbows in a day, as many locals fish all summer long near the dam without catching any of the Kootenai River trophies. For anglers who aren’t interested in chasing after the trophy-sized trout that are found in the Kootenai River just below the dam, the Kootenai River has excellent populations of rainbow trout that average in the 12-15 inch range. Being a big, fertile river with fairly strict fishing regulations (all trout between 13-18 inches must be released, 13-24 inches right below the dam), it is not surprising that fish counts are also very high. Estimates put trout populations on the Kootenai River between 2000 – 3000 per mile. 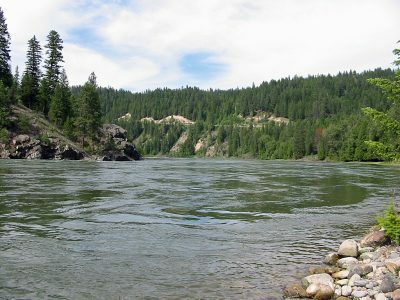 The Kootenai River, due to its location in the far northwest corner of Montana, does not receive excessive amounts of fishing pressure. The sheer size of the river also intimidates many anglers who lack a boat. As a result, fishing pressure on the Kootenai River is generally moderate and is certainly nothing like what is found on the Missouri River or the Madison River. However, despite the relatively low fishing pressure, the rainbow trout in the Kootenai River are finicky eaters. Successful fishing requires very long, light leaders (12 – 15 foot leaders are the norm on the Kootenai River) along with excellent presentation. Smaller flies are also more effective in catching the larger rainbows than then large, bushy flies commonly used on other Montana rivers. The Kootenai River is an interesting river for fly fishing. With its peak flows being during the summer, fly fishing tactics are somewhat different than found on other Montana rivers. Additionally, its sheer size makes finding prime fishing areas a challenge, especially for anglers lacking a boat. There are a number of areas to concentrate on when fly fishing the Kootenai River. One area is around the many feeder rivers and streams of the Kootenai River. These areas provide a mix of current, allowing the fish to find relief from the strong currents of the Kootenai. A second area, if somewhat more difficult to spot and very difficult to reach without a boat, are the various “seams” in the rivers current. Like all rivers, the Kootenai River generally runs fastest in the middle of the river, with slower flowing sections found closer to shore. Due to these changes in the current speed, seams in the river form, with pockets of slower water surrounded by fast moving currents. Gingerly plopping a dry fly into one of these slow water stretches is an excellent way to catch a large rainbow. A third area to look for are any noticeable deep pools. This is easier said than done, though, especially for someone who has never fished the Kootenai before. The river is just so large and fast, that often by the time you recognize a hole you have little or hope of rowing over to fish it in time. Unlike many other rivers in Montana, the holes on the Kootenai River are usually not all that obvious at a casual glance. A fourth area to concentrate on is around the various braids and channels on the Kootenai River, particularly on the tail water section downstream from the islands. The current in these tail water sections is much slower than found out in the main flows, creating some excellent seams in the water. Flies that are floated down the river right along the seams edge should successfully draw up the rainbows. Additionally, many of these braids and channels are not nearly as deep as out in the main current. As a result, it is easier to locate shore and submerged structure that provide holding waters for trout. 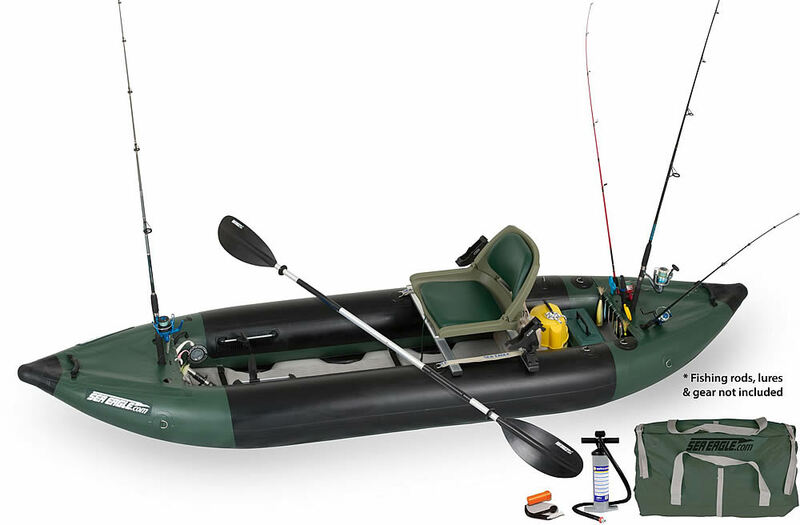 For any angler who will be fishing the Kootenai River for the first time, concentrating their efforts around these braids and channels (although a boat will generally be needed to float down to them), will be time well spent. A fifth area to look for, particularly when flows are high in July, is submerged structure on the shoreline. During July the Kootenai River usually runs very high, flooding much of the shoreline vegetation, often to a depth of several feet. The rainbow trout frequently move into these flooded waters in search of terrestrial insects, such as grasshoppers and ants. If there is ever a good time to wade fish the Kootenai River, this high water period is it. While wade fishing can still be deadly in these high currents, wade anglers can generally stick right along the shoreline in the slower water, wading up or down the river, casting to the trout that will be found in the flooded vegetation. A stealthy approach to these trout, though, will be required, as they can be quite skittish in the shallow water along the shoreline. The trout will not be impressed by lots of movement or awful presentations. Successful fishing can begin on the Kootenai River as early as March for those willing to tolerate the elements. Northwest Montana has long, cold, cloudy winters, and a March fishing trip in this part of the state is unlikely to be a warm one. However, for those who choose to brave the elements, the best fishing for large rainbow trout (other than the trophies found just below Libby Dam) can be had during this time. Streamer and nymph patterns, weighted on a sink tip line, are used for this early spring fishing, bouncing them right along the bottom. The popular Wolly Bugger, in sizes ranging from 4 – 2/0, is an excellent fly to use at this time. Crayfish imitations, especially those that are designed to dive deep, also can work very well. When chasing the larger trout of the Kootenai River it is worth remembering that a large trout feeds heavily on other fish, unlike the smaller trout that get most of their diet from aquatic insects. 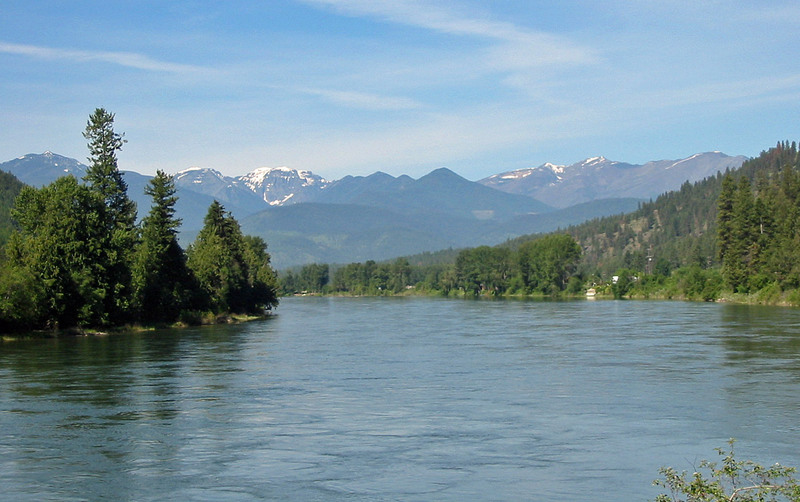 The Kootenai River is a large and somewhat intimidating river. 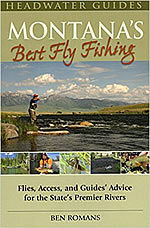 The first dry fly fishing of the year begins in May, with the best dry fly fishing occurring during the summer. The Parachute Adams, Blue Winged Olive and the Pale Morning Dun are very effective dry flies to use when fly fishing the Kootenai River during the summer, in sizes ranging from 16-22. For the angler who wants to increase the chances of catching a larger rainbow trout and who is skilled at nymph fishing, popular and effective patterns include the Hare’s Ear Beadhead nymph and the Prince nymph, in sizes 16-20. During July and lasting through August, in addition to using the dry flies described above, terrestrial patterns are successfully used, particularly if the summer is a hot and dry one. Hopper imitations (sizes 4-8) are very effective when fished in the flooded shoreline vegetation found on the Kootenai River in July. Fall on this section of the Kootenai River continues to offer excellent dry fly fishing. The Kootenai River continues to provide solid mayfly hatches through the fall. Small flies on light tackle continues to be the rule when dry fly fishing during this time, with popular imitations being the trusted Parachute Adams, along with the Sparkle Dun and Blue Quill (sizes ranging from18-24). This section of the Kootenai River runs for thirty-three miles. The best fishing on this section is found above Kootenai Falls. The Lower Kootenai, like further upstream, runs big, broad and fast. This section, though, also has some riffles and rocks which provide some nice habitat for the trout. Additionally, the China Rapids, just upstream from Kootenai Falls, provides excellent fishing in the deep holes found among the rocks and boulders. Access is more difficult on this section of the Kootenai River, as it flows primarily through private property. 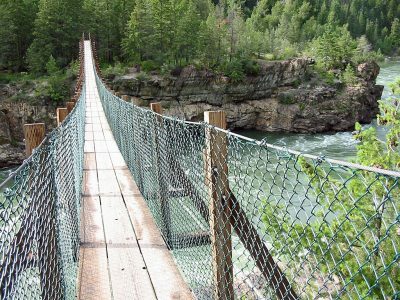 The best access on this section is around Kootenai Falls, which has a natural area that provides easy shore access, and even a bridge that crosses the river. The town of Libby also has several access sites. A campground at the Yaak River confluence also provides a good access site, along with a boat ramp, and makes for a handy take out point for floaters coming down from further upstream. Access to the Kootenai River also exists just upstream from China Rapids, and which serves primarily as a take out point for floaters who want to avoid the trip down the China Rapids and over Kootenai Falls. Other than these changes in the character of the river, fishing between Libby and Kootenai Falls is not much different than found further upstream. In addition to using the flies and tactics described earlier, fishing in the holes found behind the rocks can be very productive for catching nice rainbow trout. Fishing pressure on this section of the Kootenai River is also less than found further upstream. Below Kootenai Falls, the fishing in the Kootenai River is still good, but fish populations drop off somewhat. Recent fishing regulations changes should help in getting fish populations and sizes up, as all rainbow trout between 13-18 inches must be released. Except for two sections, floating the Kootenai River is not difficult, and offers a pleasant float. The scenery is nice and the current is fast, especially during high water. Prime floating conditions occur with river flows between 8000-12,000cfs. A float trip can begin at a boat ramp located about a mile below Libby Dam. Four miles below the dam, a short class III rapid, called the Jennings Rapid, can either be floated through or easily portaged. 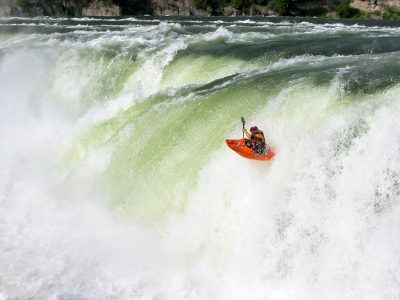 Kayaker Going over Kootenai Falls on the Kootenai River in Montana. Don’t try this without a whitewater kayak. Below the rapid, the Kootenai River flows quickly but smoothly for twenty-two miles until it reaches the class III China Rapids. 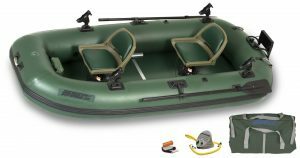 This rapid is long and, depending on river flows, can provide a rough ride for inexperienced floaters or parties in canoes. Due to the constant fluctuation in river levels and the effect it has on rapids, it is highly recommended to scout the rapid before running it. Two miles below the rapid, the Kootenai River goes over Kootenai Falls and then enters a gorge. A portage of the falls is required, as it is over thirty-feet high. A convenient take out point is located just above the falls. 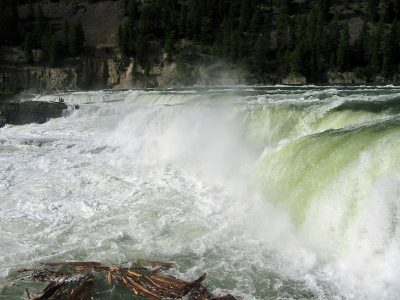 Below the falls, the Kootenai River runs through two miles of moderate whitewater, the severity of which depends on the river levels. A floater contemplating running the gorge should expect to encounter at least 3-4 class IV rapids and 2-4 class III rapids. Additionally, as it runs through a gorge, there is no way out once you commit to it. Due to the whitewater, don’t expect to do much fishing while floating through the gorge. Below the gorge, the Kootenai River continues on towards Idaho, with only a few riffles and small waves to deal with, and should not pose any problems for a floater of any skill level.